The Toronto Blue Jays have added pitchers Corey Copping and Ryan Feierabend to the major league roster for Spring Training as non-roster invitees. Right-handed reliever Corey Copping and left-handed reliever Ryan Feierabend have been added to #BlueJays big-league camp as non-roster invitees. There had been complications with Feierabend’s physical, but seems like they figured it out. The Jays acquired Copping at the August 31 deadline in 2018 from the Los Angeles Dodgers in exchange for John Axford, who recently rejoined the team at the start of Spring Training. Copping spent most of last season in AA but also logged 7.1 innings in AAA and ended his season with a total of 67.2 innings, and a 2.39 ERA in the two leagues. 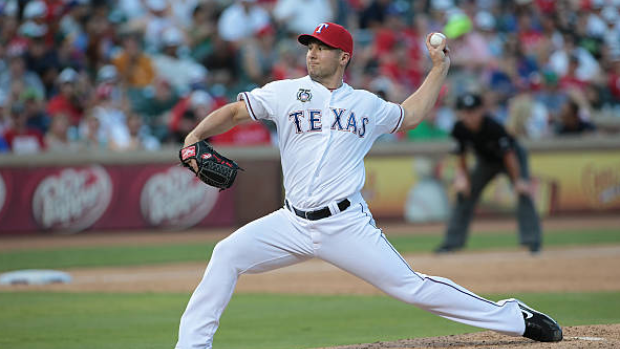 Feierabend was last seen in the majors in 2014 when he logged 7.1 innings as a bullpen arm for the Texas Rangers. He also spent time with the Seattle Mariners from 2006-08, there he was mostly used as a starter and threw 106 innings in 19 starts. The 33-year-old has spent the last four years in Korea where he resumed his role as a starter, accumulating 112 starts during his time there. Feierabend is also known for his ability to throw a knuckleball.